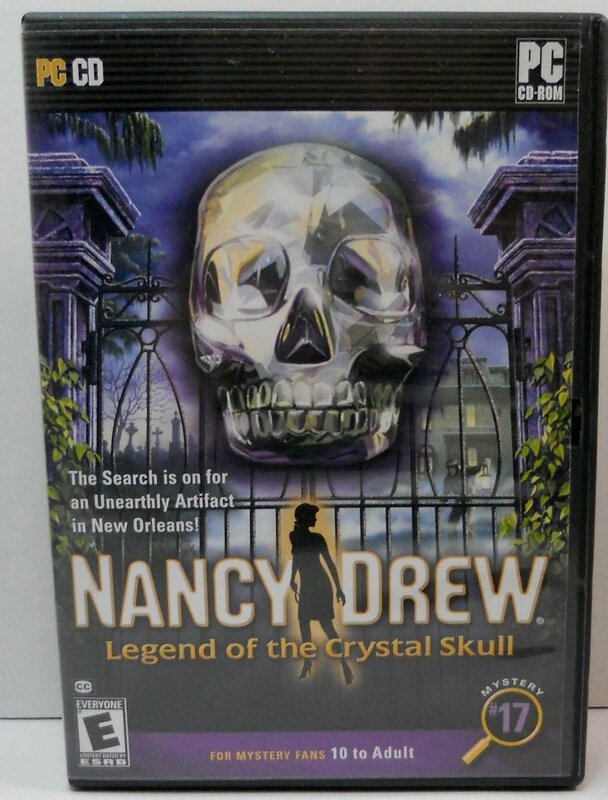 Nancy Drew's Legend of the Crystal Skull is an artifact with a power believed to protect its possessor from death. Recently its owner, Bruno Bolet, died and the skull disappeared. While few know about Bruno's missing prized possession, all seek it for personal gain. Dodge danger and uncover the immortal truth. The Crystal Skull is an artifact with a power believed to protect its possessor from death. Recently its owner, Bruno Bolet, died and the skull disappeared. While few know about Bruno's missing prized possession, all seek it for personal gain. 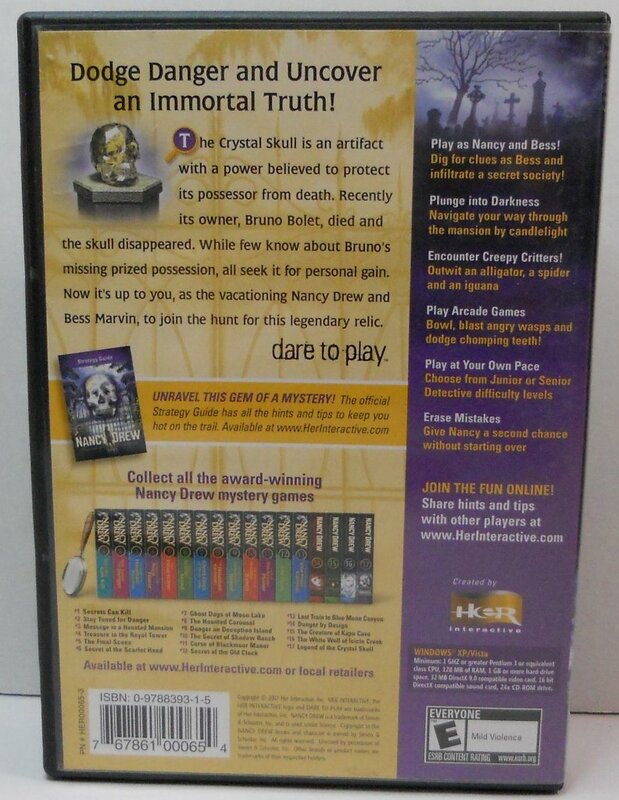 Now it's up to you as the vacationing Nancy Drew and Bess Marvin, to join the hunt for this legendary relic.